These seasonings you will quickly learn that you can not live without. This lot contains one - 6 oz. 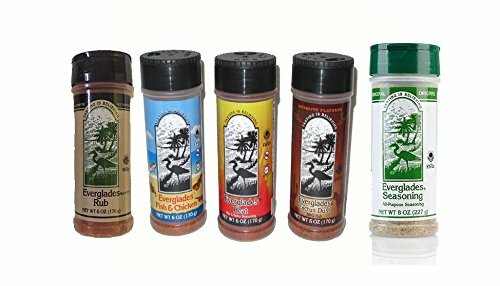 bottle of each of the following : Everglades fish & chicken everglades heat everglades cactus dust, everglades rub and one 8oz bottle of all purpose (original) everglades seasoning. For a total of 5 bottles . If you have any questions about this product by Everglades, contact us by completing and submitting the form below. If you are looking for a specif part number, please include it with your message.